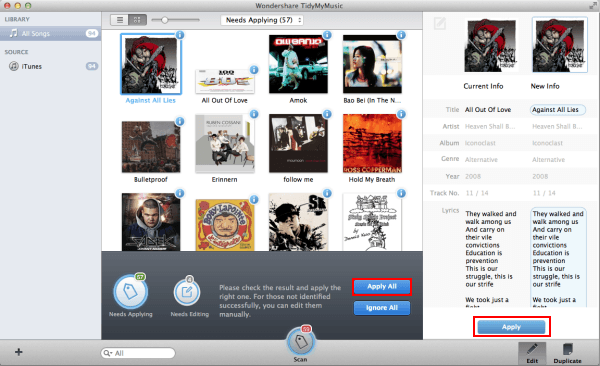 When you open the program after installation, it will scan your iTunes library and get all the music in. And the program will do the scanning and importing every time you re-open it. Go to the header part of the program’s window. Tick the Search for Unidentified Songs and click the Scan button. 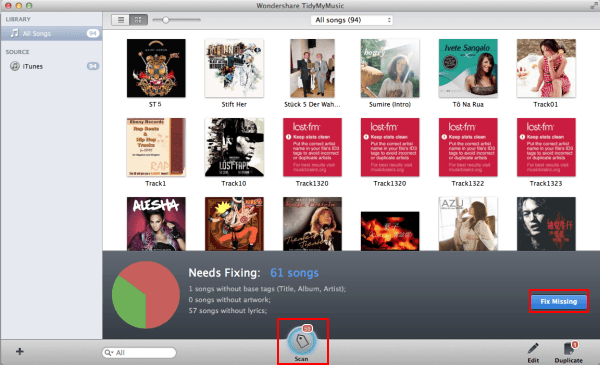 Then this program will start to find ID3 tag for all your music. 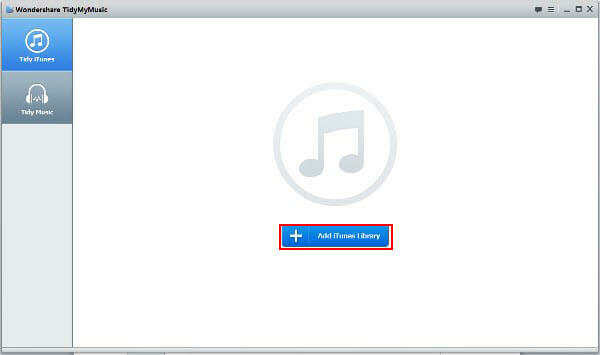 When the program finished the searching process, you can select one song and compare its ID3 tag in the right column. If the newly found information is what you need, you can click the Apply button on the bottom to embed the ID3 tag to the MP3 file. It will be faster if you select several songs and apply at the same time.